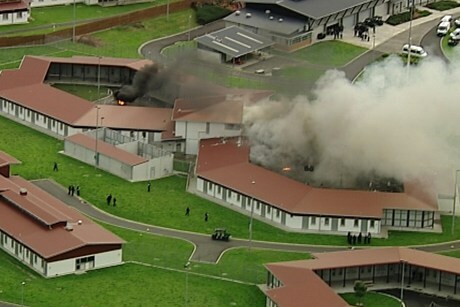 Lindsay Mitchell: Gangs committing most of the crime in NZ? She said most crime in New Zealand is committed by gang members. One would assume that the number of gang members in prison might provide a pointer but I don't believe that has been measured since the Prison Census was discontinued in 2003, at which time patched and associates made up 11.1 percent of the prison population. Now if the percentage was unchanged (unlikely) and her statement was true, that reflects very badly on those charged with detecting crime and locking up offenders. There were 376,013 crimes recorded in NZ in 2012. Police estimate there are 3,500 patched gang members in New Zealand. The Sensible Sentencing Trust claims there are 21,882 gang members and affiliates. That's very specific. Anyway, the numbers don't stack up. I've tried to verify that Tolley actually said this, but there's no press release on the matter. Don't you wish that journalists would be a bit sharper and dig deeper when confronted with quite startling claims? "There's a lot of hysteria which is unnecessary for the most part." I can't find any basis for the Minister's claim. It could come from Victimisation Surveys which capture non-prosecuted crime but....I'm still skeptical. Looks like she was wrong or mis-reported. Has there been any research into whether the Mongrel Mob and Black Power have different tribal affiliations? Or are we not supposed to ask these questions? Are towns like Kawerau and Wairoa on traditional tribal boundaries? Also we don't hear much on what result the smoking ban is having in the prisons, not making the wardens'jobs any easier I expect. I think it likely that both the Minister and the S.S.T. are near the mark. ( based on my considerable experience of 25 years ago.) Most of your gang members would have 80-100 or more convictions. I can't comment on collected statistics except that we never kept them in my day.I don't think there is the visibility today due to the increase in drug distribution, nor the number of gang rapes etc. Gang members tend to become in-active with age but remain loyal to the patch and come out when the occasion demands. Certainly in my day in our community they committed most of the crime. Baxter's view makes sense. You don't become a patched gang member by being nice. A small number doing lots bad stuff day in and day out = lots crime from a small number. Not all will get a patch either. Mis-reported. The majority of the crimes committed in the riot were by gang members. The muster sheets of the wing 16 (where the riot and fire was) is telling: lots of Killer Beez and Crypts, couple of Bloods and Mongrel Mobs. These are patched members, affilates and prospects. Thanks Correct Guy. If that's the case it's a significant misquote. Lots of people will have heard or read it and now think that's the case. Is this how 'urban myths' originate?